Originally named Jefferson County airport, this facility has served area residents since the World War II era. 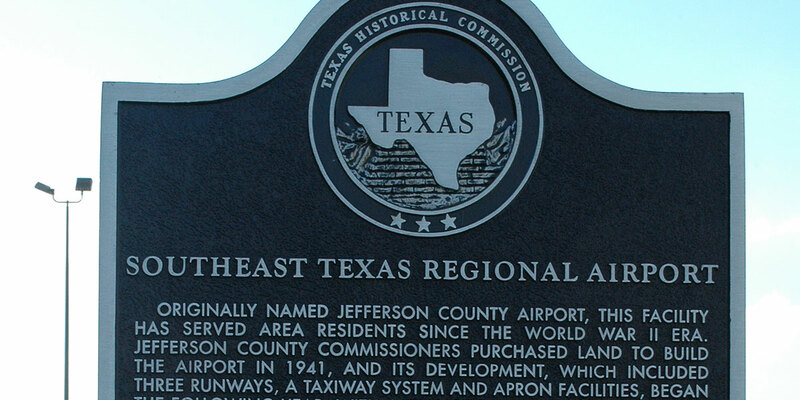 Jefferson County Commissioners purchased land to build the airport in 1941, and its development, which included three runways, a taxiway system and apron facilities, began the following year, with initial construction completed in early 1944. 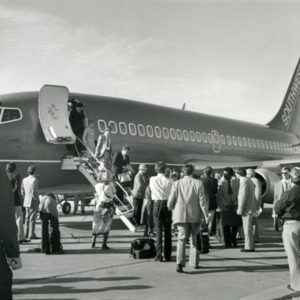 Eastern Airlines conducted the first scheduled flight in March of that year. During the War, the airport also served U.S. Marine Air Corps Dive Bomber Squadron No. 931 as a base for advanced training. Pilot trainees used floating targets in the Gulf of Mexico off Sabine Pass for gunnery and dive-bombing practice. The airport has accommodated developments in air technology through enhancement of its facilities. Improvements in the 1950s and 1960s included additional land, buildings and taxiways, and installation of runway lighting and an instrument landing system. In the early 1980s, when Texas International, Southwest Airlines, Air Texana and Metro Airlines all operated out of the airport, additional improvements were made, including completion of a new terminal. In 1999, County Commissioners approved a name change for the facility to the Jack Brooks Regional Airport. As chemical and petrochemical industries, paper and pulp manufacturing and other area businesses grew, the airport became an increasingly important transportation center. In 2005, it was the site of one of the largest civilian airlifts in U.S. History, when the U.S. Military evacuated thousands of local residents with special medical needs during landfall of Hurricane Rita. Today, the airport continues to play a vital economic role in Southeast Texas. Taken from Texas Historical Commission Marker erected on site in 2007.